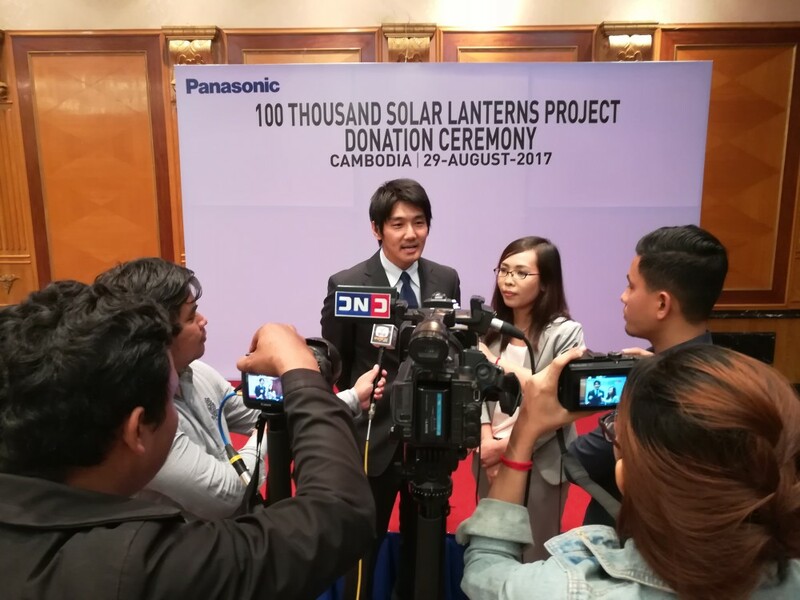 Phnom Penh, Cambodia, 29 August 2017 – Panasonic Corporation has been committed to its “100 Thousand Solar Lantern Project”* that aims to donate 100,000 solar lanterns to people living in off-grid areas by its 100th anniversary in 2018. This year marks the final year of the project. To date, over 84,000 lanterns have been donated in 22 countries since its debut in 2012. 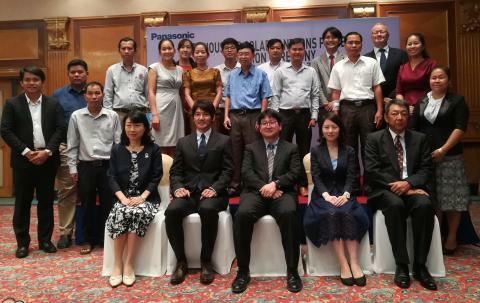 In its latest round of giving, Panasonic donated 2,202 solar lanterns to 8 NPOs in Cambodia at a ceremony held at the Continental Hotel raising the total number of donations to the Southeast Asian nation to over 13,000. At the ceremony, Maresuke Iijima, Chief Representative of Panasonic Asia Pacific Cambodia Branch Office, said “since we opened our Cambodia branch in 2012, we have strived to provide Cambodian consumers with high-quality, state-of-the-art products and services which we believe lead to “a better life, a better world” for the consumers.This hasshown how the solar lanterns have made a huge and positive impact on people's lives. 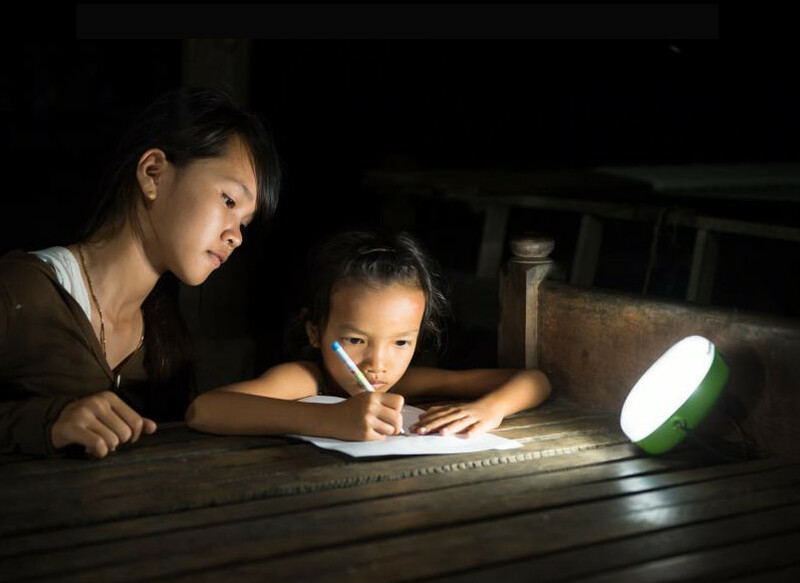 With the initiative of the 100,000 Solar Lanterns Project, Panasonic has improved social issues such as education, health and poverty.In Cambodia, where the national non-electrification rate is approximately 66%,** the solar lanterns have helped increase study time for children from two to three hours a week, instead of two to three hours a day. As a result, a student who had been ranked the 10th place in the class improved test scores and made it into the top of his grade. The lanterns also reduced nighttime electricity costs to zero, which originally made up 10% of a family's monthly expenses. An estimated 1.2 billion people worldwide still live without access to electricity. Panasonic will continue to bring light and electricity to people living in off-grid areas to meet the Sustainable Development Goals (SDGs) of the United Nations and achieve "A Better Life, A Better World." Since the first lantern donation in Myanmar in 2012, over 84,770 solar lanterns have been donated to 22 developing countries in Asia and Africa as of July 2017. These bright solar lanterns facilitate medical, educational, and economic activities at night, thus eliminating the harmful effects of kerosene lamps, and reducing fuel costs that burden households.